The first film Rosalind Russell made in 1938 was Man-Proof, which, although she had co-starred in 5 films previous and even been the star of one, only put her at third billing behind Myrna Loy and Franchot Tone. Although the film is fun in parts and Myrna Loy clearly steals the show, I have always felt it was unfair to Roz to put her in such a small role that has her disappear completely about 45 minutes after it starts. 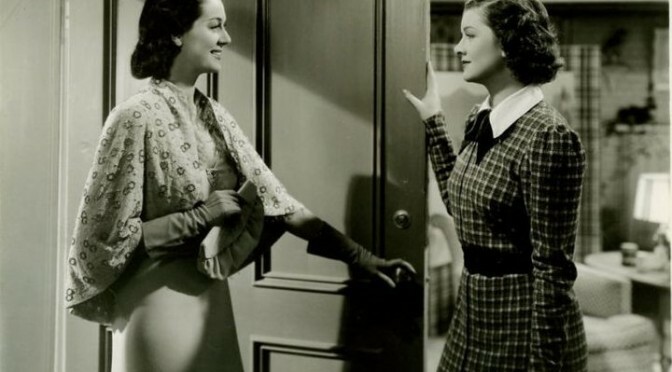 She deserved more than that at this point in her career, but the bright side is, at least she got to work with Myrna Loy, a beloved actress at the time and one of my favorites. 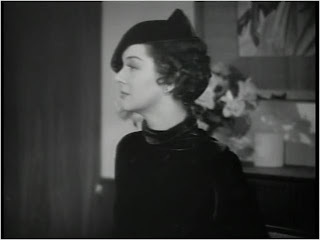 Roz’s film debut was in a Myrna Loy film, Evelyn Prentice, but she never shared one second of screen time with Miss Loy. This time, they had several scenes together and I think although they break each other’s hearts a little by tossing one man’s affection around like a football, you can tell they like each other and are probably friends offscreen. As the film starts, each main actor’s photograph appears on the screen with their name and their character’s name, accompanied by a different piece of music for each actor. Rosalind Russell’s music “as Elizabeth” is rather soft and subdued, much like her character tended to be. First we see Nana Bryant, who plays Meg Swift, typing out another one of her romance novels she is so famous for. 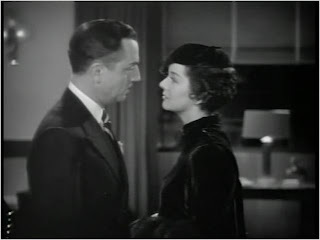 Next we see her daughter, Mimi (Myrna Loy), who is impatiently waiting on word from the man she loves, Alan Wythe (Walter Pidgeon). When the doorbell rings, she eagerly runs to the door, hoping it’s Alan. Unfortunately, it’s Jimmy Kilmartin (Franchot Tone), a family friend. It is rather amusing as the two of them exchange comical barbs back and forth, insulting each other. I think even at this early point in the film, there is something between them that they don’t see or want to admit. 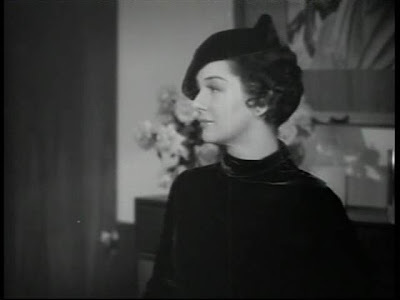 Mimi finally gets a telegram from Alan, but all happiness is drained from her face when she reads that he will marry her friend, Elizabeth (Rosalind Russell) and they hope that Mimi will be a bridesmaid. 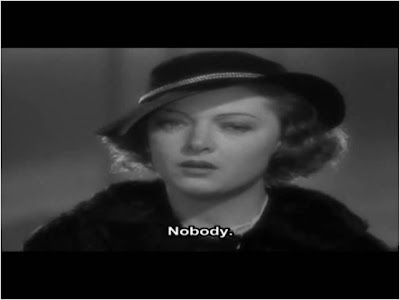 Devastated, she goes on about how she at least got the “consolation prize” and “Do bridesmaids ever wear black?” The way she says this last line is rather funny and will show anyone that Myrna Loy is talented in comedy. At the wedding, all is serious and romantic as any other wedding, but nothing can take away from the bizarre and comical wedding veil Rosalind Russell is wearing in the scene. She looks rather like an alien and although they are saying their wedding vows, I can’t help laughing at her. I don’t know whose idea it was for her to wear such a ridiculous veil, but it was a terrible one at best. After they are married, Mimi, who is still heartbroken over it, gives her best wishes to Elizabeth and then to Alan, she says, “I hope you’ll be very unhappy… because anything I wish for never comes true!” While the other bridesmaids hurriedly get Elizabeth ready to go off on her honeymoon, Mimi starts drinking to ease her pain. Once Alan goes in to see his new bride and she has taken off her veil from Mars, we can all start focusing on what’s going on in the movie. Although it is later established that Alan married Elizabeth mainly for her money, I must say they are rather cute in this scene when they hug and kiss. After Elizabeth goes in to finish getting ready, Mimi comes in, drunk as all get out. She stumbles in, acting silly and giggling. Mimi’s mother sends Jimmy on a wild goose chase, trying to track down Mimi, who is staying out all night getting drunk. Jimmy finds her in a bar by herself and they have a long talk about what has happened. She eventually finds herself home and wakes up the next morning with a debilitating hangover. As her mother comes in, she is expecting a lecture on what she was doing last night, but Meg tells her she’s not that kind of mother. She just advises her to find something else besides Alan to focus on. As her mother leaves, Mimi quips, “How’d I ever happen to get a mother like you?” and Meg says, “You’re much too young to know.” While funny, it’s also a little odd because it’s obvious Mimi is more than old enough to know exactly what she is talking about. I have to mention this because ever since I first became a fan of Rosalind Russell’s, I have noticed the funny way she emphasizes her “what” when she is surprised, shocked, or even amused. She does it in many of her films and as I became more of a fan, I came to expect it and when she didn’t stretch that “what” longer than necessary, I was disappointed. As you study an actress more intently, you are bound to notice things like that. Besides that, there are the widened eyes deemed “Roz eyes,” the way she involuntarily raises her eyebrow in a dubious situation, her crooked front tooth that is only visible when she smiles wide or laughs, and the many words in the English language she pronounces in her own little way. The next day, Mimi and Alan go to the fights without Elizabeth. Alan tells Mimi that his wife is sick and didn’t want to come. Elizabeth doesn’t mind if Alan takes Mimi. They have a grand ol’ time and even go back to the bar where Mimi had been drinking herself into a stupor after Alan’s wedding. This time, she is happy, and she is very impressed with how far she has come. They end the evening by coming around the corner toward Mimi’s apartment, arm in arm, dancing and singing “On a Sunday Afternoon.” I also notice that Myrna Loy is most likely not comfortable singing on camera. She sings very quietly, letting Walter Pidgeon take up most of the slack. The next day, Mimi informs her mother and Jimmy that she is going to go after Alan after all and she is going to tell Elizabeth. Of course, she takes the coward’s way out and calls Elizabeth on the phone instead of telling her in person. After Mimi tells Elizabeth her feelings about Alan, Elizabeth stares, shocked and saddened by the news, and slowly hangs up. When Alan comes home later that night, she tells him that Mimi phoned in order to gauge his reaction. They get ready for a party but before you know it, she is back in bed, letting Alan know she is still sick and “doesn’t want to risk it.” She encourages him to go out by himself anyway. When he leaves, she stares after him longingly with tears welling up in her eyes. It is rather sad to see her so willing to give up her man that easily. Later that night, Alan stops by Mimi’s place after having a confrontation with Jimmy at a bar and before long, he kisses her. However, there is suddenly a knock on her door and she knows right away that it is Elizabeth. It is indeed who she thought it was and dressed in a perfectly lovely dress, she enters the room and looks around, taking in what is in front of her. This is Rosalind’s best scene in the film and for once, she actually steals attention away from the star. She takes center stage right away and does all the talking while the other two just listen to her. She says she knows Alan never loved her, that he only married her because she’s a “rich girl,” and that he is just an ordinary man. She was willing to stay with him because she loved him so much. However, eventually, Alan was trying to be in love with her—so hard—that the effort was desperate. She started to feel sorry for him because he is obviously a very lonely man who would be going after a parade of women throughout their marriage. However, now that he is really in love (with Mimi)… but she doesn’t know how to finish her thought. She passes up on the drink with Mimi and Alan, not able to be noble much longer. As she leaves, she says to Mimi, “Wouldn’t it be funny, Mimi, if Alan got sick and you and I went to the fights?” With that, she leaves and never comes back. 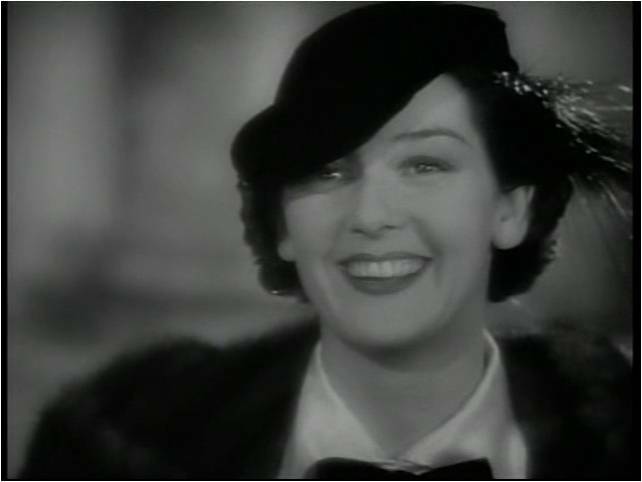 Mimi watches her go and says, “There goes a general in any woman’s army.” Although Rosalind Russell has bid her adieu to the film, she ended it on an impressive note and with a funny line to boot. 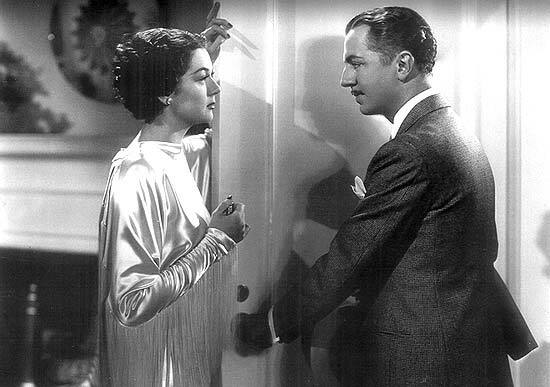 Evelyn Prentice centers around John Prentice and his wife, Evelyn (William Powell and Myrna Loy). John is a busy lawyer who seems to spend more and more time at the office than at home, which has his wife restless and lonely. 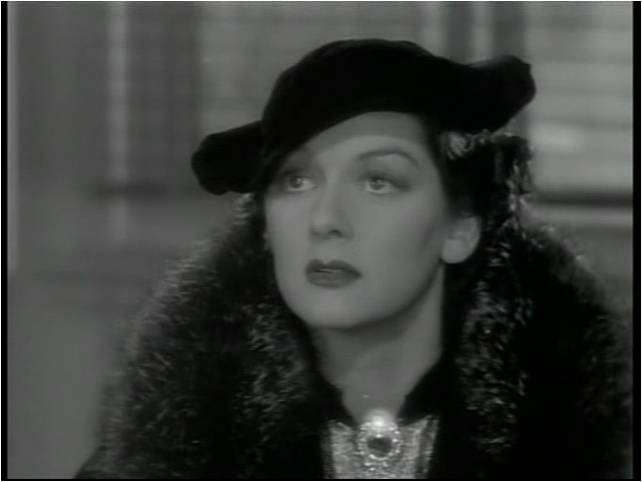 In the beginning of the film, he is busy on a case for Nancy Harrison (Rosalind Russell), who has been charged with manslaughter when she got into a car accident with a man who died at the scene. After John gets her acquitted, it is obvious she likes him as more than just her lawyer. She even takes a train for Boston because she knows he will be on the same train. Later, she sends a to John’s wife Evelyn, which is marked to be a gift to Nancy from John with a note saying it was found in John’s compartment. Roz’s character is a troublemaker, trying to ruin an already fragile marriage. She isn’t successful, and although 15 minutes into the movie, we never see her again, she certainly is noticeable. Being a widow, she always wears black in the film, and she looks lovely in the outfits, matching her equally dark hair. I highly recommend this movie because of Myrna Loy. The movie includes a wonderful courtroom scene, where Evelyn is on the stand, giving her heart-shattering testimony. Her testimony is beautifully moving and I always find my eyes glued to the screen during this scene. Isabel Jewell also gives a great performance on the stand, sparking a few tears in my eyes. 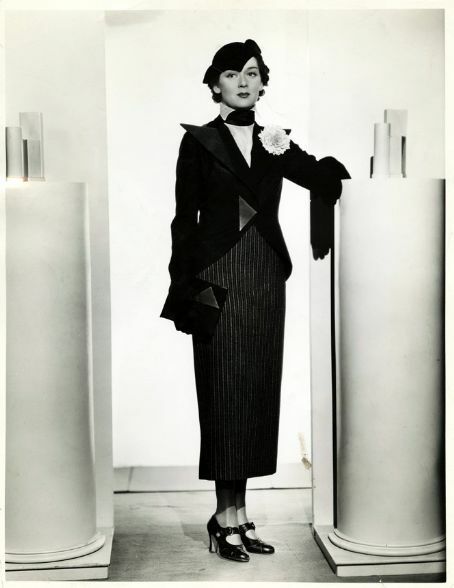 TCM will be showing two daytime marathons this month of Rosalind Russell movies (10/19 and 10/28). Each day this month, I will post a series of photos from each movie they will show.